The BOODA Cleanstep was designed for cleanliness as well as privacy. Your cat will appreciate the seclusion and you will enjoy the benefits of a 99% odor-free litter box. The built-in, elevated ramp helps elimate escaping litter and keeps your cat's paws clean. 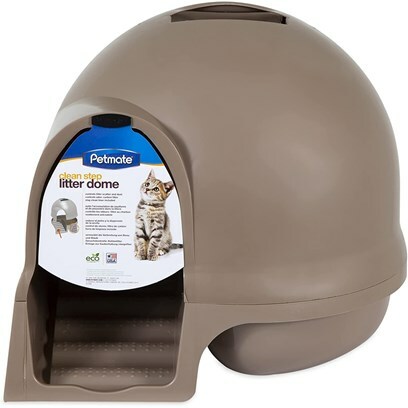 Booda Dome Clean Step Litter Box Titanium Features: Booda dome clean step litter boxTitanium color large capacity covered for privacyCleanliness 99% odor freeFree patented litter mat step design dislodges litter from paws.